Home › Government › Natis online booking, and the government being too helpful. Note: this is not the NATIS site, nor does it have any association with it. If you’re looking for the booking system, click this link. Update: it looks like the CATPCHA is now required for every request, so at least an automated leak is out. This still allows for targeted looking up of data though, like investigating job applicants, or anyone for whom you have an ID number, which probably isn’t ideal. 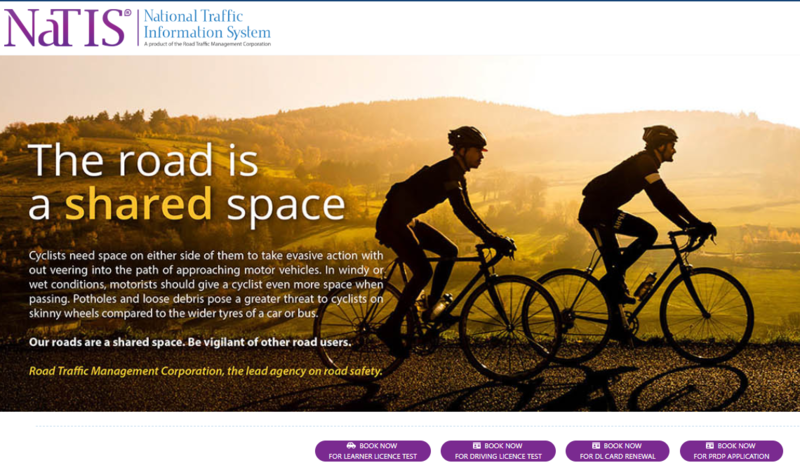 So the National Traffic Information System (NaTIS) recently launched a new website where you can book for various driving licences / renewals online. The website itself seems fairly slick and fast, and it’s good to see initiatives like this coming from government, as anyone who’s spent any time at a driver’s licence department will know. As an example, if you choose to book a driver’s licence renewal, you are prompted for the type of identification, as well as, say, your ID number. What if you make a typo? Well, not to worry, it will validate your ID number for you. That’s neat. What if you typo’d so hard, you entered a valid, but non-existent ID number? Not a problem. Well, they’ve definitely tried really hard. Uh… did they just expose a service we can use to check if an ID number exists? That’s… odd. What if you typo’d an ID number of someone who existed, but didn’t have a driver’s licence? Oh dear. So we can use this to check if someone has a valid driver’s licence? That’s a little concerning. And what happens if you enter an ID number of someone who does exist? If they have a driver’s licence, what their first and last names are. That’s a lot of info to just be leaking out all over. I assume that wasn’t intentional. Looking at the page for applying for a learner’s licence, I think you may be able to retrieve names about someone who doesn’t have a licence yet as well, but I haven’t confirmed. A good initiative, but someone really needs to be vetting these things before they go out. ‹ Just Dead – my zombies. i can post a message but not make a booking ?? I need to make an appointment in Pretoia north Akasia but no space available there is no people there but they are full????????? I’m just a random guy with a blog I’m afraid, maybe phone them. These comments just made my Friday! 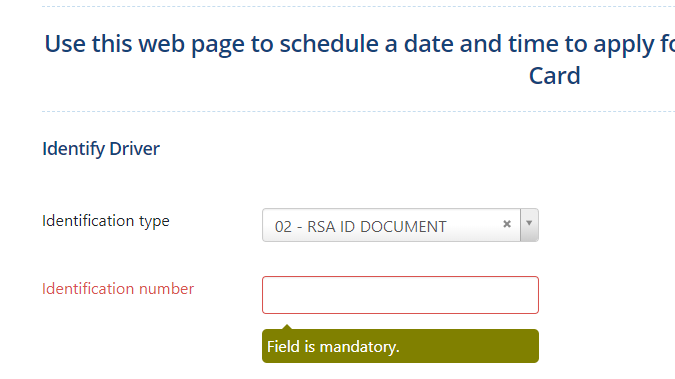 And it now looks like they added a mandatory Surname and Initial field to the start page which should help – well spotted! Thanks! Doesn’t help with say, a job applicant, but better. how can I get my temporary licence its bad for this not some day. You’ll have to go the actual website for queries, I’m just some guy. Afraid I’m not the government. I need to make a booking to renew my licence card but cannot access anything on this page. who do I stay legal if I cannot do this. Tried how many times to make an online booking to renew my drivers licence at Akasia but now space available what do you suggest? Hi, does anyone how I can cancel my online booking to renew my drivers license.